May 22, 2014, Washington, DC. 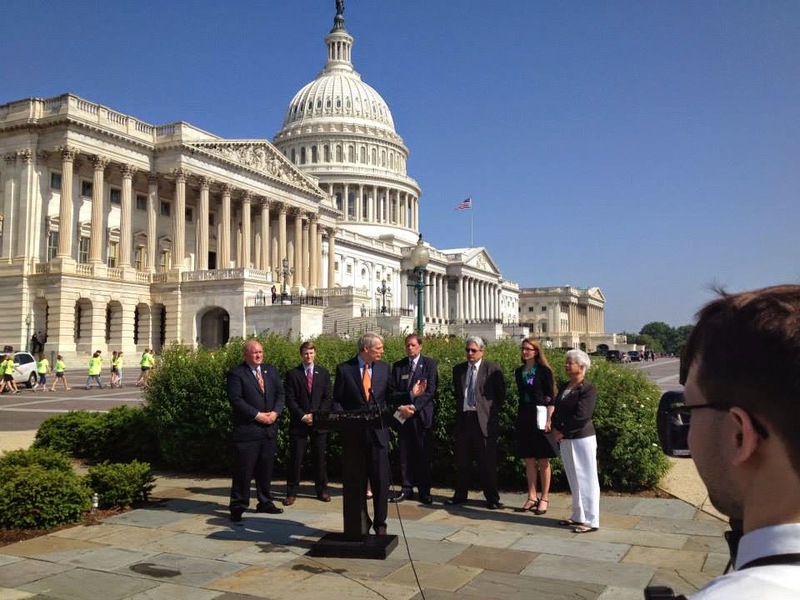 The Eating Disorders Coalition was humbled to speak at Congressmen Glenn Thompson and Congressman Tim Ryan's Press Conference on May 22, 2014, in honor of the Medical Evaluation Parity for Service Members (MEPS) Act (HR: (H.R. 4305 / S. 2231). The MEPS Act passed the House on May 22, 2014, and, in short will "provide an individual with a mental health assessment before the individual enlists in the Armed Forces or is commissioned as an officer in the Armed Forces." Why does the EDC care about this bill? For several reasons, including what the bill states in its findings: (1) More focus needs to be put on mental health in America. (2) The large number of suicides among veterans and members of the Armed Forces is unacceptable, especially given that more members have died by suicide than in combat. (3) Many of those suicides in the military were members of the Armed Forces who never deployed. (4) Members of the Armed Forces, having been at war for more than a decade, have been put through acute physical and mental stress. (5) Many of the suicides in the Armed Forces can be prevented, and studies have found that improved screening reduced later behavioral problems by 78 percent and reduced thoughts of suicide by more than half. (6) Although the military currently has a baseline measurement process for physical health, the military does not currently have similar standards for mental health. (7) It is important that the military ensures that the members of the Armed Forces are both physically and mentally fit for all the missions the United States requires. Additionally, we care about this bill because a recent study of abnormal eating behaviors in 3,000 active duty women in the US Army, Navy, Air Force and Marine Corps revealed that more than 60% of respondents had some type of eating disorder, and nearly every Marine Corps respondent (97.5%) met criteria for an eating disorder. Of active duty Navy men, 2.5% suffered with anorexia, 6.8% bulimia, and 40.8% suffered with "other eating disorders." Navy men classified in the "normal" category (49.9% of those sampled), reported current behaviors of vomiting, water pills, diet pills, laxatives and binging. The MEPS Act will help address these alarming statistics. Thank you so very much to the champions of the bill and their colleagues, Senator Rob Portman for introducing a companion bill in the Senate.